If you are selling your home, you know how important it is to get the most money out of it. The chances are you want to get, at least, what you’ve put into the home. Ideally, you can sell your home for more than what you bought it for and get some equity out of it. There are a few things you can do to get the most money out of your house. First impressions when it comes to selling your home to a potential buyer is very important. A first impression is everything and this is especially true for when you’re trying to sell your home. You’ll need to make sure people get the right impression when they first pull up to your home. If they see a home that looks friendly, is clean and well put together, they might be more willing to purchase it. If you’re in the middle of upgrading your home, make sure you finish it. When people put homes for sale, they sometimes don’t finish projects or renovations and that might make it harder to sell the house. If you finish making upgrades to your home before you even list it, it will be easier for you to sell it. A finished home will sell faster than one that’s unfinished. Even though you love the pictures of your kids lining the wall and your tchotchkes, that doesn’t mean potential buyers will love them. If you remove personal things from your home, a buyer might be better able to see their own life in the space. Minimalist is key when you’re trying to sell your home. You want the potential buyers to be able to picture themselves in your home and visualize that it is there house. That is hard to do when they can see all of your personal items throughout the house. Even though you might think your home is worth more because of the things you did to it, that doesn’t mean potential buyers will. Setting your home at the right price for your area and for the type of home it is will help you sell it easier. You will need to make sure you and your realtor do market research to figure out the perfect price. 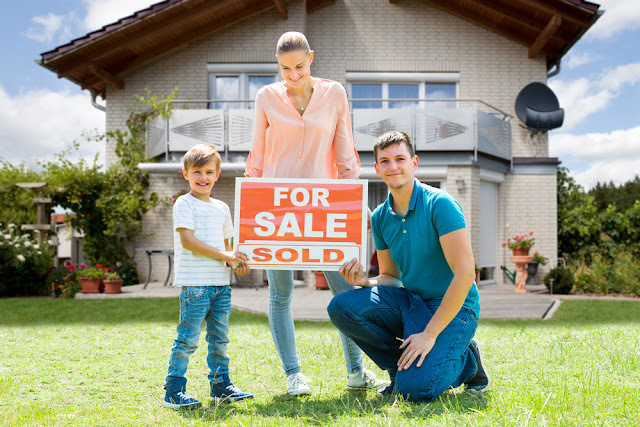 You may even want to consider getting your home appraised so that way you know what a competitive price will be on your home on the current market. If the price is too high, you will likely have a hard time selling your home, but you don’t want to sell for a price too low as you may not get the money you deserve out of it. Bottom line, you want to make sure you have a competitive price put on your home. A buyer could stop by to look at the house at any time. Even if you have open houses and times for buyers to come see, they might want to check the house out on their own time. Make sure your house is always ready for a showing and try to keep it as clean as possible. Whether you want to get out quick or you have some time to sell, getting the most out of your house is important. By following the steps, you will get more out of your home than not. After all, it is about getting the most amount of money out of your home as possible.